Recent sales of U.S. sorghum to Spain and Italy reinforce the importance of these European markets to U.S. farmers. Italy purchased 36,600 metric tons (1.44 million bushels) of sorghum the week of March 14, and Spain has purchased just under one million tons (39.4 million bushels) of sorghum since April 2018. A combination of factors has resulted in the return of these two buyers to the sorghum market this marketing year. In addition to ample supply of U.S. sorghum, a drought in Europe has driven up the price of European feedstock. U.S. sorghum is an attractive alternative with duty-free access to the market and no biotechology-related concerns. 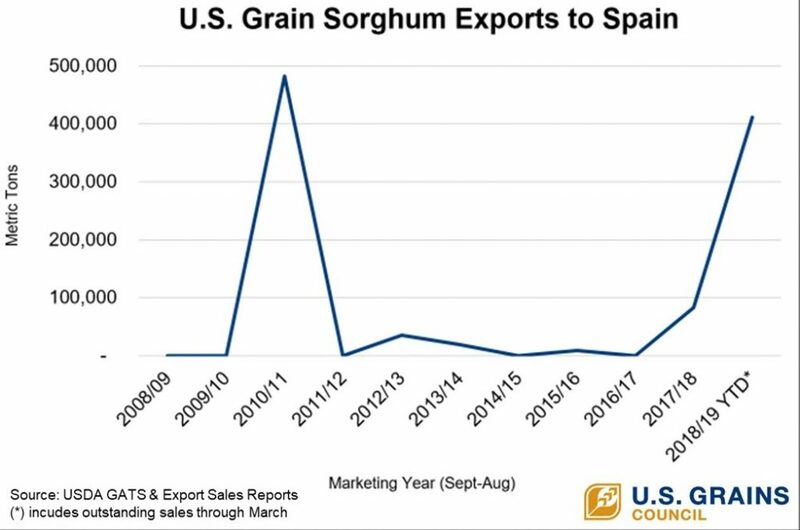 The Council worked with Spanish buyers last spring by bringing sorghum sellers to Spain and conducting two purchasing conferences, resulting in purchases of diverted shipments from China. These activities paved the way for renewed interest in U.S. sorghum, and the Spanish have continued to purchase since that time, with U.S. sorghum destined for hog production. Italy also is looking for feed grains to fill the demand gap left by the European drought. The recent purchase allows Italian end-users to evaluate the economical and nutritional advantages of U.S. sorghum. The Council will continue building on this positive momentum by conducting a buyers conference in Europe this summer to provide more information on the availability and value of U.S. sorghum to Spanish and Italian buyers, as well as those in other European countries. Learn more about the Council’s work to promote U.S. sorghum here.